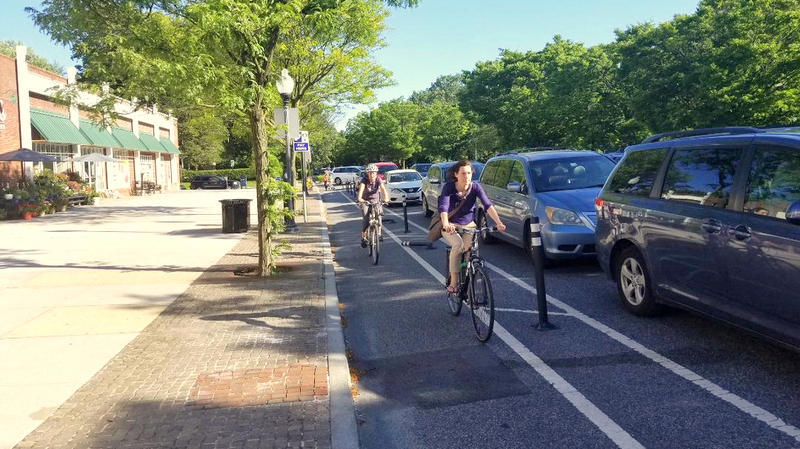 Roland Park’s cycle track will remain in its current configuration for another year, with a few adjustments, while city officials ponder what steps to take to address an issue that has divided community residents and bike advocates. Last week was supposed to be the deadline when the Department of Transportation would announce which of five options it would follow to alter the controversial cycle track along Roland Avenue, which runs from Cold Spring Lane to Northern Parkway. But DOT officials posted a message online Thursday evening saying they needed more time to study the matter and would undertake a new planning effort – and hire a consultant – before making any final decision. In the meantime, the agency promised to restore curbside parking in the 5100 block of Roland Avenue in front of Eddie’s grocery store and said it will examine restoring curbside parking in front of the public library across the street from Eddie’s. • Restore curbside parking in front of St. David’s Church and near The Woman’s Club. • Conduct a test to determine the potential impact of reducing the number of traffic lanes on Roland Avenue. 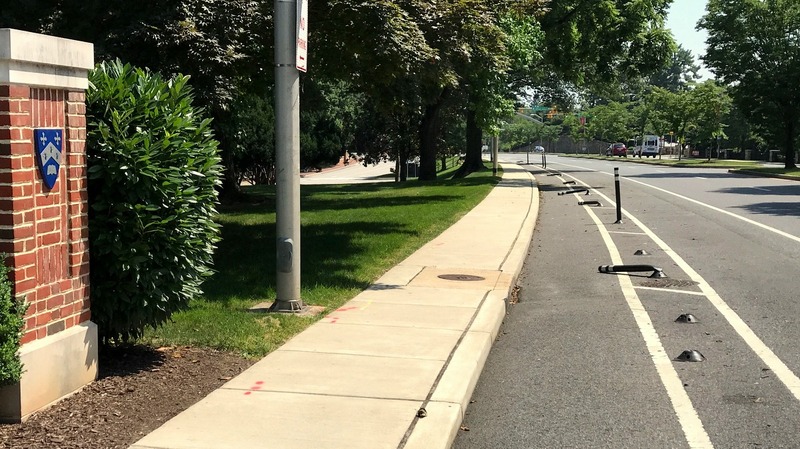 DOT’s announcement was hailed by the head of the Roland Park Civic League, who expressed concern that the city would chose an option that reduced traffic from two lanes to one. 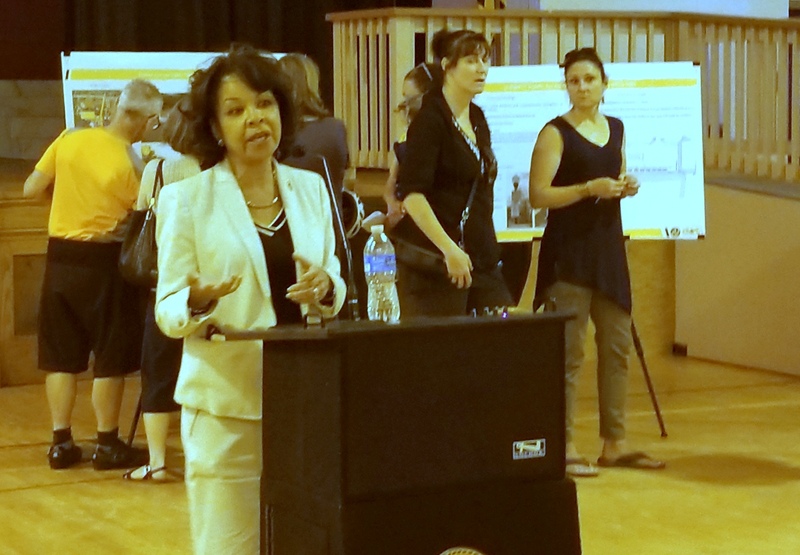 “I’m very pleased to announce DOT Director Michelle Pourciau has decided to delay a decision about Roland Avenue modifications until DOT can conduct further studies,” said Civic League President Robert Connors. “It’s good news that DOT decided not to pursue its preferred Option #1 or proceed with lane reductions without a careful impact analysis,” he said, adding that City Council President Bernard C. “Jack” Young and Councilwoman Sharon Green Middleton helped push for a delay. “It’s good news,” says RPCL President Robert Connors. The same announcement drew harsh criticism from Liz Cornish, executive director of Bikemore, a citywide advocacy group. “DOT has allowed the circus . . . to go on far past what’s appropriate,” says Bikemore’s Liz Cornish. Bikemore had favored the option that kept the cycle track at curbside and reduced the number of travel lanes for vehicles from two to one. By contrast, the majority of Roland Park residents who responded to a DOT survey wanted the city to restore curbside parking for cars. Many also said they wanted to keep two travel lanes open for cars in each direction. DOT Director Pourciau said she will form a panel and hire a consultant to determine a final configuration for the cycle track. The three-member panel will consist of herself, Connors and Jon Laria, a lawyer who serves as chairman of the Mayor’s Bicycle Advisory Commission. The panel is expected to meet sometime in August to begin developing what Pourciau described as an “aggressive” timeline for future reconstruction and strategies to pay for the work. The unnamed consultant will possess expertise in “complete streets” roadway design, she indicated. The appointment of Laria drew a rebuke from a North Roland Park resident, who said the lawyer has a conflict of interest because he is a member of the Civic League, which opposes the protected bike lane. Laria acknowledged that he is a dues-paying member of the RPCL.